Kingsley Osbern Nugent Foster was born in 1906 at Shenley, the home of his Foster grandparents. He spent a lot of his childhood in Antigua with his Nugent grandparents. 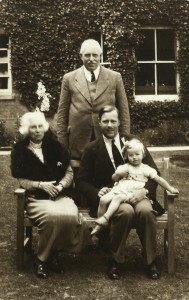 Kingsley’s parents, Colonel Osbern Foster and Monica Nugent, the daughter of Oliver and Mary Nugent, had met in Antigua when Osbern was posted there with the Northumberland Fusiliers. They married at the island’s St John’s Cathedral on 21st January 1906. Kingsley came home to England to attend school at St. Faith’s, Cambridge, from which he went to Clifton College, Bristol. 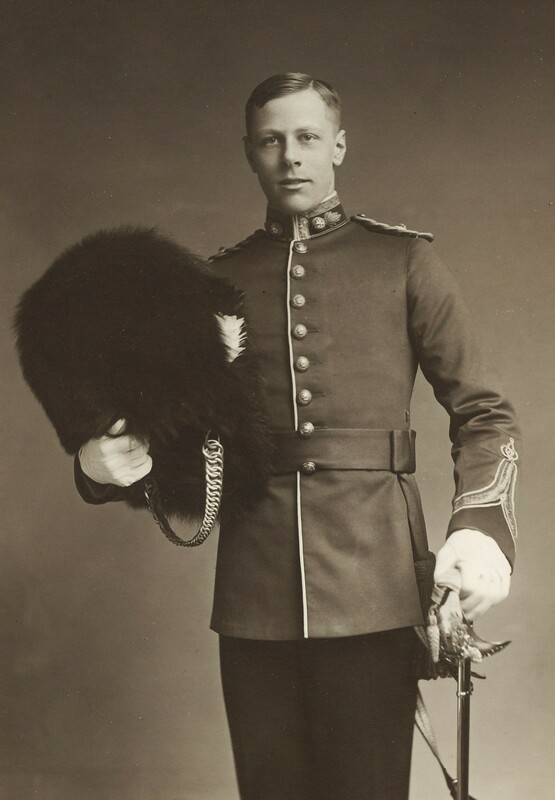 In 1925 he joined the Royal Northumberland Fusiliers. His father was by then second in Command of the Battalion. 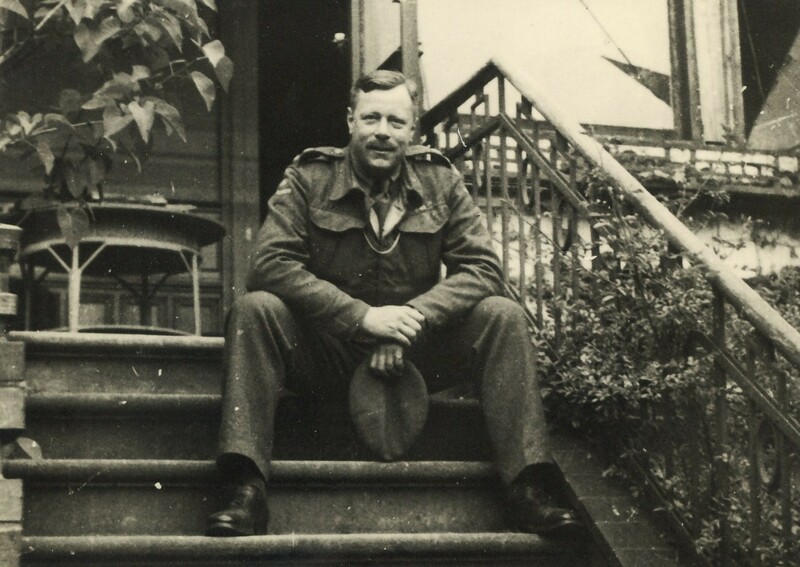 He had assumed command by 1932 when the Battalion returned to England from Shanghai. In July that year Kingsley married Audrey Geraldine Ballard. They had one daughter, Patricia. In Bremen on VE Day, 1945. Having already served in China and India, Kingsley was posted to Palestine. At the outbreak of the Second World War he was sent to North Africa with the Eighth Army. In 1944 he was given command of the 7th Manchester Regiment which invaded Holland at Wallacheren. For this he received the Order of the Golden Lion from the Dutch for outstanding service in the relief of their country. 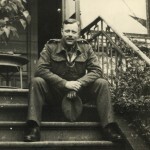 From there he worked for the Control Commission of Germany at Minden. 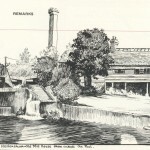 Peace brought him back to England for two years in Darlington. The next foreign posting was Singapore and Malaya. In 1950 KONF refused an appointment in India as a Brigadier and relinquished his appointment in Singapore as a full Colonel to return to the rank of Lt. Col. in order to command his own Regiment which was then ordered to Korea. He was killed in Korea in April 1951. 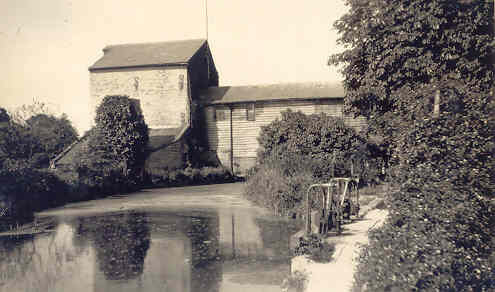 In England the family lived mainly at The Old Mill House, Hildersham, Cambridge, the home of Kingsley’s parents. After Kingsley’s death, his widow, Audrey, was granted a grace and favour apartment at Hampton Court Palace. Military history was of great interest to KONF and as a very young man he started to collect military medals and built up a collection second to few in the British Isles, and was the greatest authority on the subject in the army. He had already published one book on the subject and was writing a second. happened during the army’s occupation of Berlin in 1945. The Potsdam Conference to define occupation zones was underway and Colonel Foster managed to slip away into the Russian zone. Firstly he brought out into the Western zone members of the family of Prince Bismark. Then, at the invitation of an aristocrat friend of Prince Bismark, Baron Van Mirbach, a former court chamberlain, he made an audacious visit to Russian army headquarters in the city, climbed three floors then, in his words “nipped into the attic” from where he carried away in a laundry hamper the baron’s “collection of medieval orders of chivalry such as a collector usually dreams about”. “No one saw fit to comment on the unusual spectacle of a British Officer walking out of a Russian headquarters with a washing hamper”. The Baron, who had no heirs both his sons having been killed in the war, seemed motivated by hatred of Russians, gave what he called “the finest [medal] collection in Europe” to Colonel Foster. 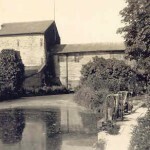 The final challenge was to bring the collection to England in which he succeeded by paying a nominal £100 in customs duty after pulling strings at the highest level. Sadly the Van Mirbach decorations had to be sold to support his widow, but the rest of his considerable collection, specialising in the Peninsular War, is in the regimental museum at Alnwick Castle. Personal decorations of Colonel Foster and his father remain in the family. 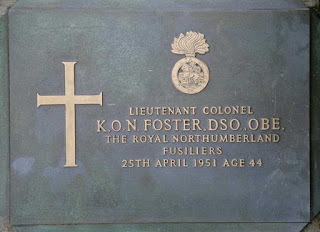 Colonel Foster, the most senior British officer to die during the Korean War, was laid to rest at a military cemetery in Busan.